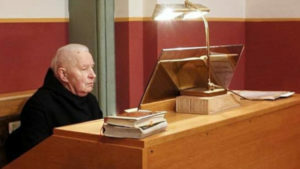 Shortly after celebrating his 94th birthday, Brother Ulrich died peacefully in the infirmary of Sankt Ottilien Archabbey, just before midnight on 14 January. Archabbot Wolfgang had administered the Anointing of the Sick in the morning. The past few months had been truly difficult for Brother Ulrich, since circulation problems and diabetes had come to affect him more and more. However, as always, he appeared friendly and even-tempered and was grateful for the attentive care he received. Brother Ulrich came into the world shortly before the Feast of the Epiphany in 1925, was baptized on 6 January, and probably because of that received the baptismal name of Kaspar. His parents, the farmer Johann Menhart and his wife Walburga, née Sedlmeier, ran a small farm in the little village of Zillenberg near Ried, Aichach-Friedberg District. After primary and secondary school in Ried, he entered the apprentices’ home of Sankt Ottilien as a brother candidate in April 1938. He began training in agriculture but then switched in November to an apprenticeship in tailoring. He entered the archabbey in April 1941 at the age of 19, but eight days later the monastery was dissolved by the Gestapo. The impeded postulant was in the military hospital into which the monastery had now been turned, continued to work in the tailor shop and completed his apprenticeship in February 1942. In March 1943, he was called up for Labor Service, and in July of the same year to military service. His deployments in the Second World War began in occupied France and led, via Romania, to the Russian front. The retreat before the advancing Soviet army left him in Slovakia, from where he was brought back home with a shot in the lungs and severe frostbite. After recovering, he was assigned to the mountain infantry of Garmisch and was supposed to lead a last battle against the approaching American army. He fled with other soldiers and reached beyond the mountains to the not-too-distant Ottilien monastery farm at Wessobrunn. There he surrendered to the American army, was passed on to the French army, and then was brought to the Saint-Fons prisoner-of-war camp near Lyon. His release was delayed since a war criminal with the same name had been found in his military unit in France, such that he was interrogated time and time again. In his distress, he turned to writing letters to the archabbey, which intervened for him in May 1948 with the French authorities and Church officials. He finally was released in July 1948, but his health and nerves were in very poor condition. 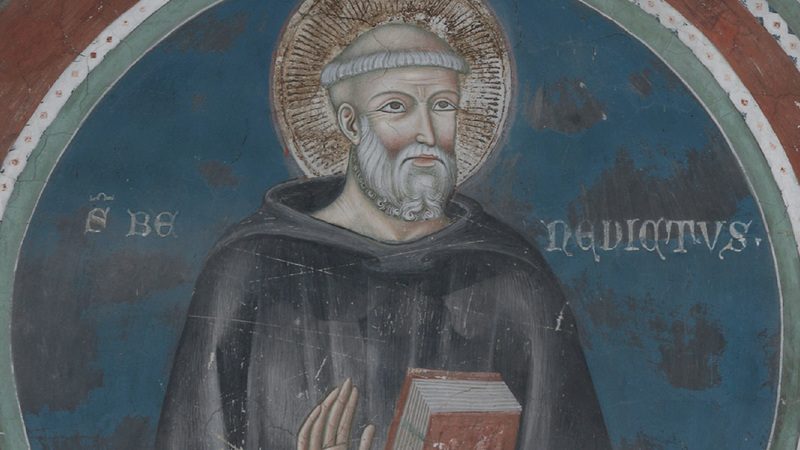 The camp chaplain informed the archabbot of his release from France and let it be known that the free man was a “faithful soul” who had become his most important assistant in caring for the religious needs of the prisoners. On 1 October 1948, he returned to the monastery and began his novitiate, when he received the name Ulrich, the patron of the Augsburg Diocese. Brother Ulrich professed his temporary vows on 31 October 1949 and made his perpetual profession on 31 October 1952. 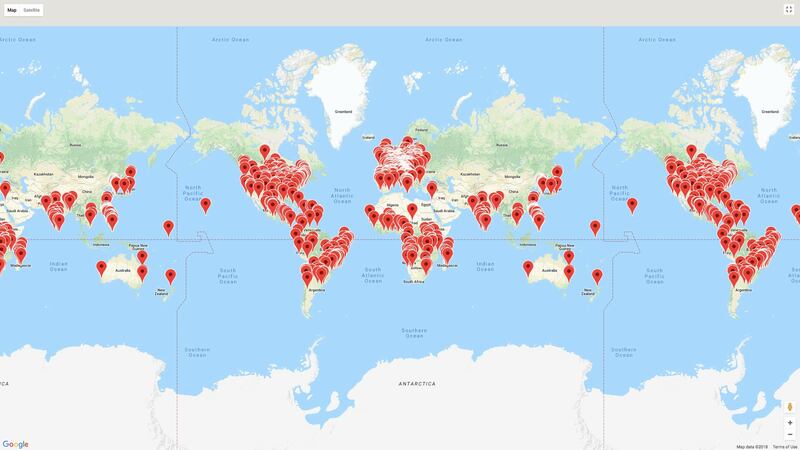 From the beginning, he was occupied in the tailor shop until he was transferred in February 1953 to the retreat house, where a receptionist was needed. At the same time, he worked in the Liebeswerk. Several illnesses forced him in 1959 to return to his original job in the tailor shop until, in January 1961, he was appointed to serve as part of the founding personnel of the newly acquired monastery of Jakobsberg near Bingen. 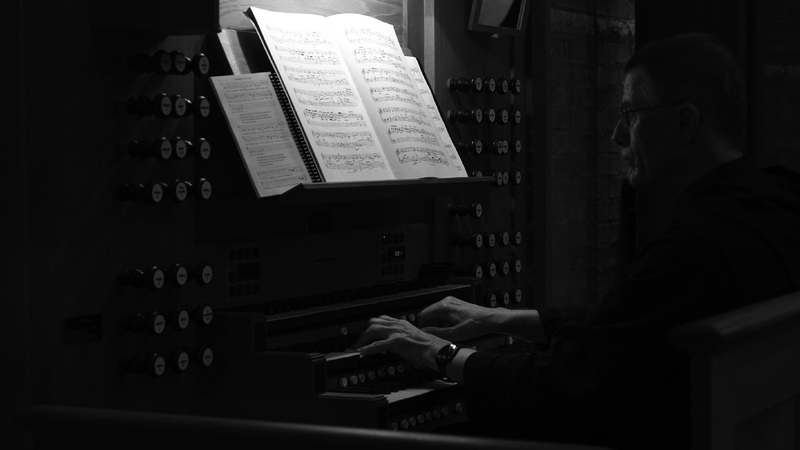 Brother Ulrich’s musical talents already were appreciated in Sankt Ottilien, where he played the organ, led the brothers’ choir and gave lessons in playing the harmonium. At Jakobsberg, he served from the beginning as organist and cantor, and he was to exercise his service as organist for over fifty years. Musically, he also helped out generously in the local area, especially with the church choir of Ockenheim, so that he was known as the “Fifteenth Holy Helper of Jakobsberg.” Thanks to his many skills, he was involved in numerous activities in the small monastic community of Jakobsberg: as tailor, organist, cantor, driver, assistant receptionist, assistant gardener. and harvest hand — especially in collecting nuts, berries and fruit. His friendly manner was appreciated by visitors and within his large circle of acquaintances, harmoniously combining a cheerful even-temperedness and kind helpfulness. He approached and responded to people with his radiant smile. Because of his love of nature, he was especially seen during vacation hiking in the mountains in the Allgäu and Tyrolean Alps. Good relations with the family in his Bavarian homeland were a special concern of his, even if he had laid down solid roots in the Rhineland. 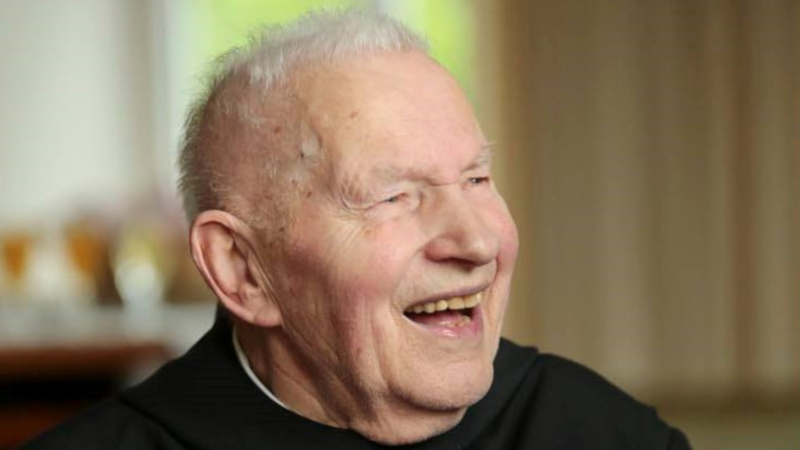 After a decline in his health, Brother Ulrich returned to Sankt Ottilien in October 2014 where he quickly settled in and felt at ease in the infirmary. With his passing, a piece of the living history of Jakobsberg has departed from us, but his memory will remain with us as good and pleasant. May he rest in peace! The funeral Mass was celebrated on Saturday, 19 January 2019, at 10:30 a.m. in the abbey church of Sankt Ottilien, with subsequent burial at Sankt Ottilien.